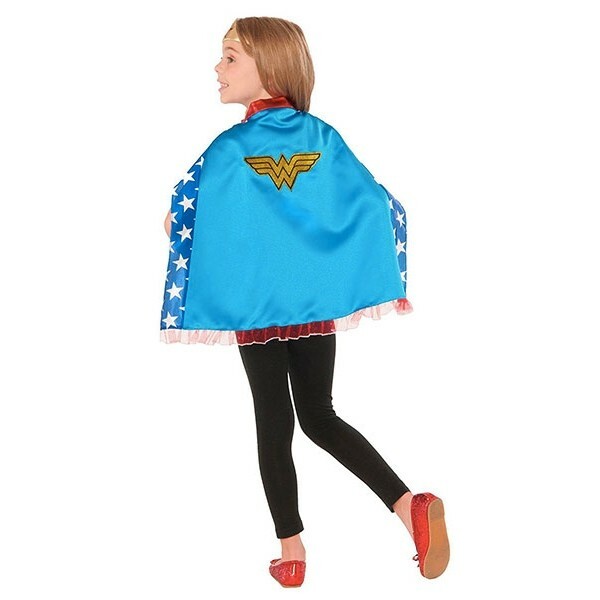 She'll feel like a superhero in these cape and headpiece sets that pay tribute to some of the most popular superheros from the DC universe! 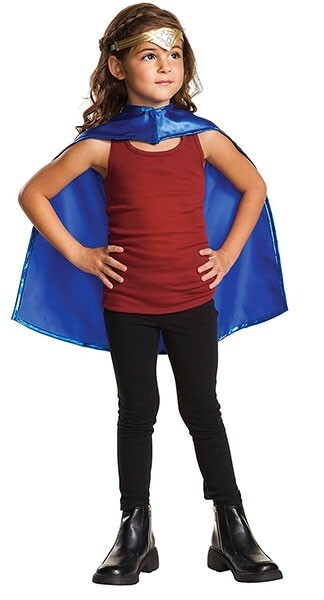 Each set comes with a satin cape with an embroidered insignia and a ruffle trim, and a headpiece or mask to match. 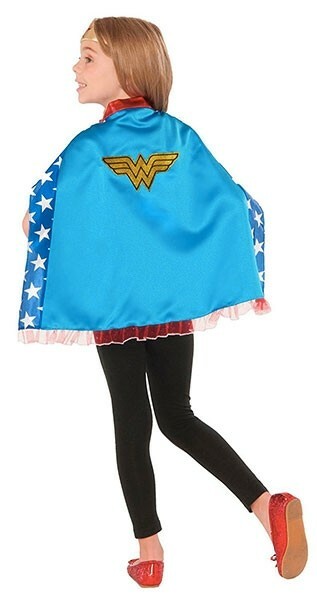 Different sets feature Wonder Woman, Robin, Batgirl, and Supergirl.